What is the Community Boat? The Swansea Community Boat is licensed to carry up to 45 passengers plus crew. 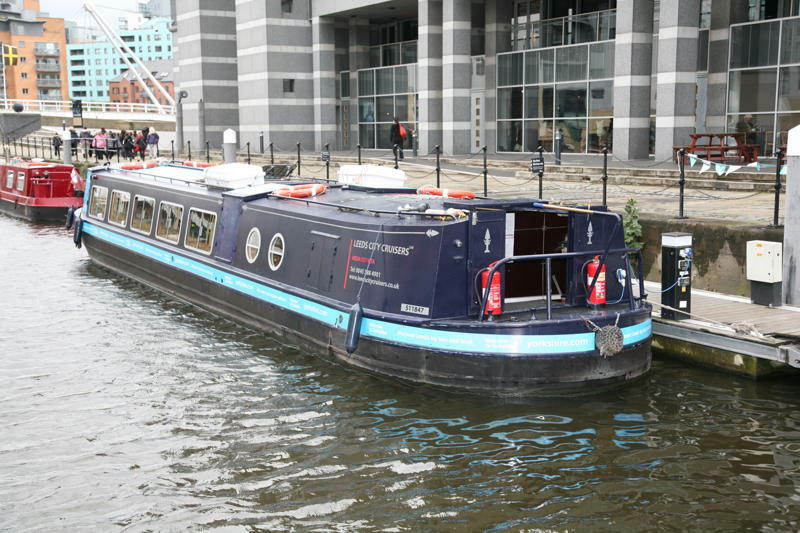 It has disabled access (a wheelchair lift), bar, galley, toilets and washroom. The “floating classroom” is a resource for school pupils and for lifelong learning. In addition to volunteers, staff will be employed to manage the trips and events. Based at the Swansea Marina, the Swansea Community Boat will operate on an existing waterway – the Tawe River Navigation – and the project will support the regeneration of local communities, through the rebirth of their historic waterway. The picture above is of SCBT’s first boat – Black Prince. 2014 will see the arrival of a purpose built boat “Copper Jack”. The Community Boat has been designed to undertake a variety of roles, and has been fitted to a very high standard. Traveling on the boat is a pleasant experience for all. A fully enclosed cabin and central heating will make trips less dependent on the weather. A small galley and bar offer basic refreshments, although full catering facilities can be provided if required. The Community Boat has met the stringent requirements of the Maritime Coastguard Agency (MCA), and is licensed as a passenger vessel on the Category “B” waters of the River Tawe and Swansea Marina. A charitable trust manages the Swansea Community Boat, working closely with the City and County of Swansea, Neath Port Talbot County Borough Council, Swansea Museum Service, National Waterfront Museum, Welsh Government, Communities First Development Trust, local canal societies, and others. Could you tell me if the new boat is capable of taking electric wheelchairs without the need for the occupant to vacate the chair ? I am thinking of my mother who (following a fall systaining major head injuries) is unable to move, feed or speak and so cannot be moved from the chair without the use of a specialist hoist and sling. I have been looking for opportunities for her to get out and about as she is rarely able to do so due to her condition and thought that a canal boat trip would enhance her quality of life. Many thanks for your comment. We are currently in the process of applying for a grant to enable us to install a wheelchair lift to enable full access to wheelchair users, as well as installing accessible toilet facilities – it is one of our main priorities now that we have secured the boat itself. I am unable to give any exact dates as yet, but we hope to be up and running by this summer. If you keep an eye on this website, or subscribe by email, you can find out what has been happening and when the first tours will run.